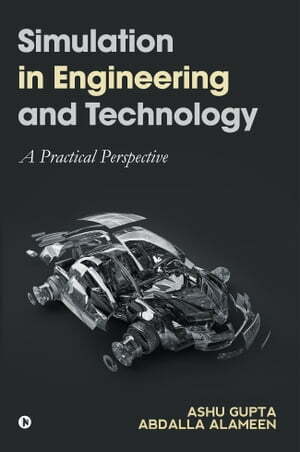 Collins Booksellers - Simulation in Engineering and Technology by Ashu Gupta & Abdalla Alameen, 9781948146784. Buy this book online. Computer simulation modeling is a discipline gaining popularity in both the government and industry. It can assist in the design, creation and evaluation of complex systems. Designers, program managers, analysts and engineers use computer simulation modeling to understand and evaluate ‘what if’ case scenarios. One can model a real or proposed system using computer software, which is useful when changes to the actual system are difficult to implement, involve high costs or are impractical. Some examples of computer simulation modeling familiar to most of us include weather forecasting, flight simulators used for training pilots and car crash modeling. Modeling & Simulation (M&S) has become an important tool in all phases of the acquisition process and can be used within most systems’ lifecycles, including requirement analysis, architectural design, design and development, tests and verifications and operations and maintenance. The science of modeling and simulation strives to showcase the highest possible level of reality to determine the conditions necessary for optimal performance. Modeling and simulation is a multifaceted and complex field due to the numerous applications involved, particularly since M&S applications range from nuclear reactions to supermarket queuing.